I am mostly fascinated by this picture on this sunday. The story behind this is that people are combining cutting age technologies: Robotics with 3D environment recognition. Used products are Bioloid premium kit and microsoft kinect. 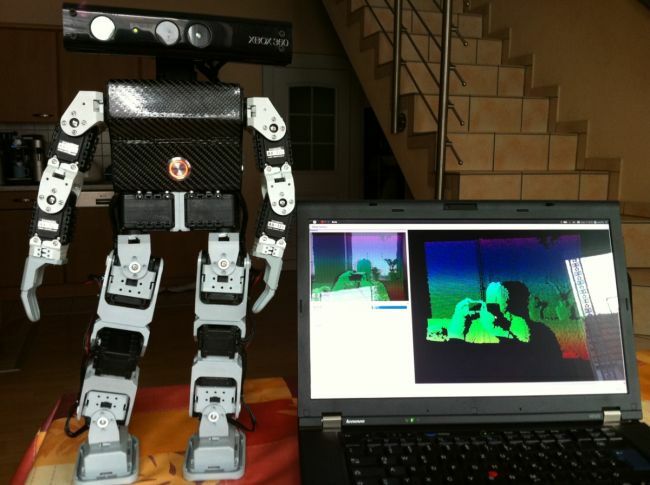 As it is shown in this picture, the robot is able to get a 3D detection of its environment with kinect technologie. I am afraid that the age of 2D graphic analysis will be gone soon. I am really excited about the future with 3D detection.